NASA and the Israel Space Agency (ISA) of the Ministry of Science signed a new civil space cooperation agreement on October 13, 2015. 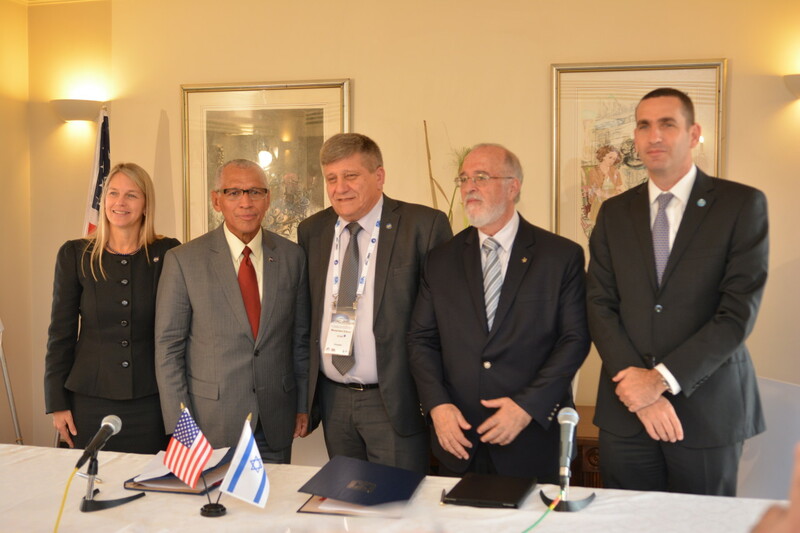 The agreement was signed by NASA Administrator Charles Bolden and Menachem Kidron – Director General of the Israel Space Agency during the International Astronautical Congress hosted in Jerusalem by the ISA. The last agreement between NASA and the ISA was signed in 1996 and remained in effect until 2005. The two sides agreed that now is the right time to renew their commitment to their mutual cooperation. The new agreement, which is more far-reaching and in-depth than its predecessor, will enable NASA and ISA to cooperate in the exploration and research of space for the betterment of mankind and for peaceful use. Among the potential areas of cooperation enabled by this agreement are: joint missions, personnel and scientific data exchanges, ground-based research facilities, space exploration and operations missions, joint workshops and meetings, scientific instruments onboard aircraft and spacecraft, sounding rocket and scientific balloon flights, space communications, educational outreach, and other spacecraft and space research platforms. The goal of the agreement is to provide the framework for discussions of areas of cooperation between the agencies which could then lead to more specific agreements between the two sides. “Our two countries have had a long history of cooperation in space exploration, scientific discovery and research, and we look forward to the opportunities this new agreement provides us to build upon this partnership,” said NASA Administrator Charles Bolden. In recent months NASA has made a series of groundbreaking announcements, including the existence of liquid water on Mars, the discovery of exoplanet 452B, which is very similar to Earth and the successful arrival at Pluto of the New Horizons spacecraft.